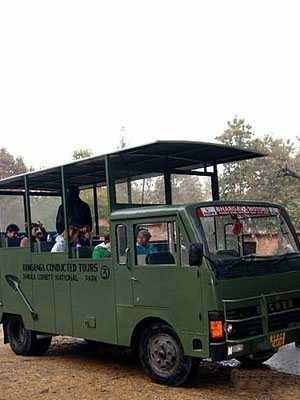 Jim Corbett national park is well connected by road and train services from the major cities. One can reach here by train from New-Delhi and at the same time there is regular bus services from Jaipur, Agra, Dehradun, Rishikesh, Haridwar apart from - Delhi, Lucknow and other major cities. Delhi - Ramnagar: 5013 Ranikhet Express DEP Old Delhi Railway Station 2245 hrs; ARR Ramnagar Railway Station 0500 hrs. Ramnagar - Delhi: 5014 Ranikhet Express DEP Ramnagar Railway Station 2115 hrs; ARR Old Delhi Railway Station 0500 hrs. The II AC compartment of this train is very comfortable. 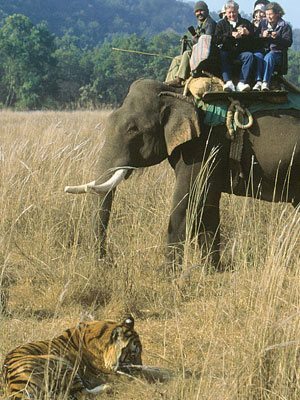 Corbett National Park from Agra, your options are, How to reach Jim corbett national park from Agra : Mathura - Lal Kuan: 5311 Kumaon Express DEP Mathura Junction Railway Station 2315 hrs; ARR Lal Kuan Railway Station 0845 hrs. Lal Kuan - Mathura: 5312 Kumaon Express DEP Lal Kuan Railway Station 1900 hrs; ARR DEP Mathura Junction Railway Station 0425 hrs. Mathura is 58 kms from Agra. 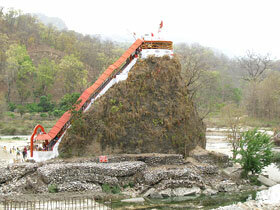 Lal Kuan is 75 kms from Camp. Both trains mentioned above operate on all days of the week. 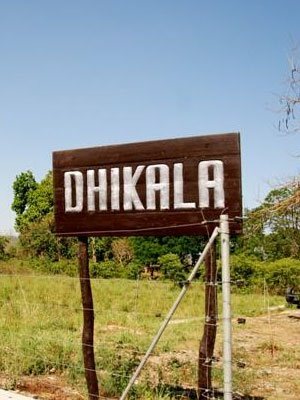 Station transfers from Ramnagar Railway Station or Lal Kuan Railway Station to Jim Corbett Park and vice versa can be arranged on request. What to wear in Jim Corbett National Park -Clothing: The clothes you should carry with you to Jim Corbett Park are totally opposite depending on the season in which you are visiting it. The summers are blisteringly hot and don't expect any let up while you are there. You should expect unrelenting heat day after day if you are there between the months of April and June. With temperatures soaring between 30 and 39 degrees centigrade most of the day, even the lightest of T-shirts feel like warm jackets. Take along your lightest clothes in the summers with the definite inclusion of a cap and dark glasses. In the winter months, specially November to beginning February, the weather is just the opposite. Morning drives into the park are freezing cold and how many ever layers you wear sometimes feel insufficient. The days however are extremely pleasant and a light sweatshirt can more than suffice. Evenings and night once again get very chilly. Carrying along a pair of gloves and a muffler is advisable. For those who intend to take photographs in the wee hours of the morning without pressing all the wrong buttons on their cameras, take along a pair of gloves that are thin yet warm and provide for sufficient movement of the hands. Avoid wearing perfumes and do not smoke in restricted areas. Animals are extremely weary of the human voice. Don't make noise, don't play music and please don't honk car horn. Carry Binoculars, Cameras, film rolls and Flash-light along with books and other reading material. Don't leave behind any litter and plastic bags are big hazards for animals. Comfortable walking shoes are appropriate than the fashionable ones. 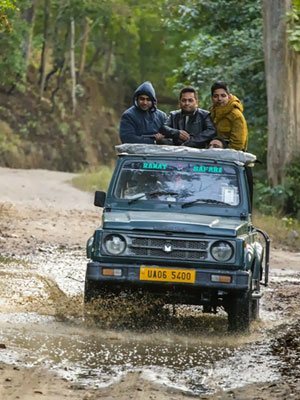 For winter travel heavy woollens are a must especially for open jeep safaris. Cottons are apt for summer months, rain Gear is essential for the monsoons. Find about the habits of the animal you want to see to avoid disappointment.